We saw our midwife today. I was so anxious for my appointment that I didn’t sleep well last night, so as soon as I got home I really needed a nap. We saw babyfoo moving around a bit this time. We could very clearly see the head and arms waving around. And a strong heartbeat, still around 170 bpm. The crown-to-rump length is 2.47 centimeters, or just about one inch. 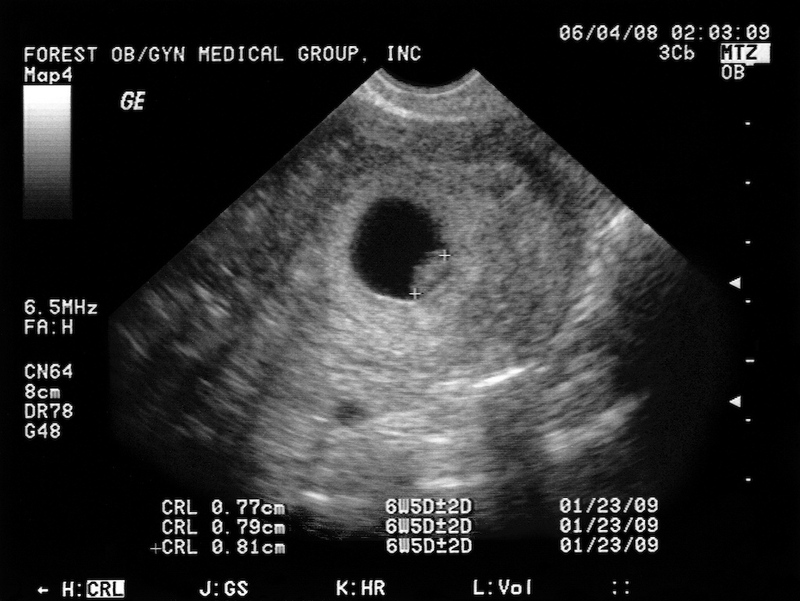 At 6.5 weeks it was .77 cm so the little peanut has more than tripled in size! They still place my due date on January 23rd, which makes me 9 weeks and 4 days along. Unfortunately no picture to share, because the machine wasn’t printing. Now that I know their ultrasound equipment is better at the main office I will probably schedule my appointments accordingly. It didn’t even occur to me that we could have video taped it! Maybe next time. The baby’s size equivalent at 8 weeks is a cherry. The most bizarre baby size chart ever. My next ultrasound is scheduled for the 24th (10 weeks). I have a little more energy this week, but still nauseous in the evenings. No more pickles. How quickly food turns on you. Daddyfoo is the best medicine, especially when he brings ginger ale. Shopping for clothes right now is cruel and unusual punishment. There is no way I can wait another 4 weeks before I tell everyone.